The advance IVF and infertility treatments are now possible for many women who may never be able to conceive. IVF is one of the common and most effective types of assisted reproductive technology. It actually involves a lot of commitment and persistence. If you want to go with IVF treatment to conceive, then here are few important steps you need to know before going with the process. The fertility specialist will map out a detailed protocol of the steps associated with the preparation of the IVF cycle. Working with the primary care nursing team, the patient will follow the steps of the protocol through a series of blood tests, ultrasounds and the taking of fertility medications to help to stimulate the ovaries. The primary care team will educate the patient about the upcoming egg retrieval procedure that will be performed at the fertility clinical center. The fertility specialist will use an ultrasound guided needle to drain the follicles, while the embryologist assesses the quality of eggs being retrieved. Oocytes or eggs are assessed, sperm is washed as assessed. Now oocytes and sperms are put together in a culture medium where the fertilization happens. Oocytes are stripped by removing surrounding cells and they assessed. Sperm is washed and assessed. A single sperm is selected and injected into the egg. The injected oocytes are placed in a culture medium to continue the fertilization process. The fertilization is assessed 18 hours after the injection or insemination. The embryologist uses the complex methodology to assess the quality of the embryos on days 2, 3, 4 and 5 of embryo development. 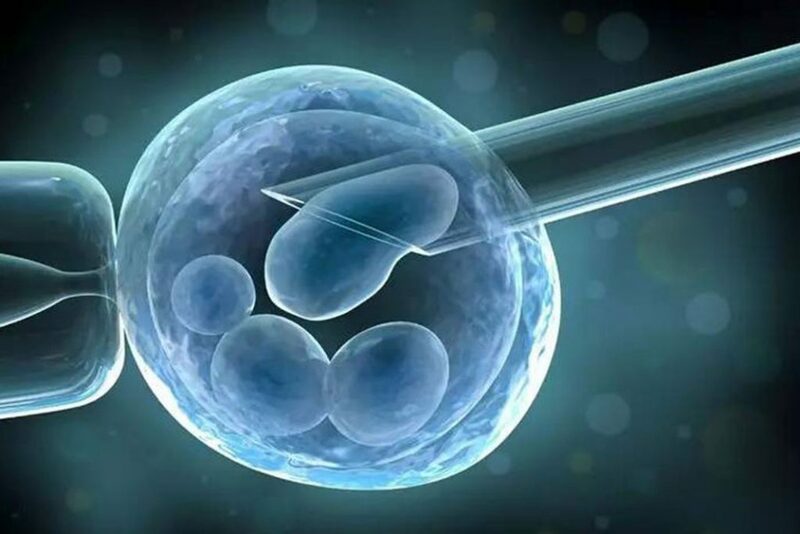 The embryologist will share the embryo assessment with the fertility specialist to select the best embryos for transfer. Assisted hatching is employed just before the transfer for patients older than 38, patients with recurrent implantation failure and all frozen embryo transfers. The embryologist will load the embryos into the catheter and provide it to the fertility specialist. The doctor will then inject the embryos into the uterine cavity under ultrasound guidance. All in used embryos can be frozen for future attempts at a pregnancy. Freezing techniques or verification guarantee high survival rates and pregnancy rated comparable with doing fresh embryo transfers. Embryos can be stored in liquid nitrogen for more than 10 years without any detrimental effect on embryo quality. After the last step, your doctor may ask you to go for a pregnancy test and pregnancy scan. After successfully completing 10 following the embryo transfer, a woman should give her blood sample for a pregnancy test. If the reports or pregnancy test is positive the woman should continue with her medication for implantation. The pregnancy scan is performed early 2 weeks after a pregnancy test to confirm an intrauterine pregnancy and fetal heartbeat. A detailed report is also given by the health care provider. Women are advised to book for the antenatal class as in normal pregnancy with their local hospital. IVF can be done by your eggs and your spouse sperm, your eggs and donor sperms, donor eggs and your spouse sperm and donated embryos. IVF is used when blocked or damaged fallopian tubes, reduced ovarian function, endometriosis, uterine fibrosis, male infertility, un explained infertility, aged women whose fertility reduced. There are few side effects of IVF which includes cramping, constipation, bloating, pelvic pain, breast tenderness, heavy vaginal bleeding, and blood in the urine. In few weeks after in vitro fertilization process, you can take a pregnancy test. Most of the women find that they are pregnant after the IVF process, but some IVF process will not work. Before you make sure of your pregnancy IVF process, look into IVF success rates for women of your same age group. Some couple may undergo 2 to 3 attempts with the IVF process for a successful pregnancy. IVF procedure is commonly known as Test tube baby. Once you become pregnant, there is no difference from a pregnancy established naturally.